Tristan Gossens grew up in Vermont, later moving to the state of Washington. He began building and selling custom skis around 2014. Each pair of skis are built to order. 8+ for Eastern packed groomers and hardpack...possible 9 if the tail was reshaped slightly to finish the turn initiated by the forebody. 7+ for crud and powder due to stiffness. Would be 8+ in softer flex. "Create a version of the original west coast quiver killers suited to eastern conditions, while maintaining the feel and performance of the originals. 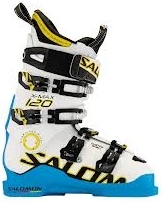 Meant for those skiers who ski hard regardless of conditions and want a strong versatile platform that can be their go to ski for the majority of the season." "GC Skis was created and built by Tristan Gossens. Tristan grew up in Vermont and was basically born on skis. He spent winters on the slopes of Sugarbush and Mad River minutes from his hometown. The idea behind GC Skis came about when Tristan was in college in Florida and saw surfers shaping their own boards. After school he moved to Seattle, WA and worked in Alaska for a while. During this time the ski-building dream endured until finally he had the opportunity to make a set of skis. What started as a hobby to feed his desire to build his own ride quickly caught the interest of friends and fellow skiers. With help from friends, his wife, and the passion to ski his own sticks, GC Skis was born. We encourage you to follow your passions and imagine what your next ride could be." Birch and maple core with maple sidewalls. Triaxial fiberglass and carbon unidirectional cloth. Rockwell 48 hardness edges with 3/4 wrap. Suberb construction, fit and finish...better than some fully-commercial skis we have seen. Great workmanship and attention to detail. "Wow" was a word often used by people seeing the skis for the first time. Durability has been superb after two seasons. Eastern corduroy, powder, windpacked crud, chalk, packed powder, spring corn and hardpack groomers & boilerplate. We skied this ski for two seasons in a wide variety of conditions. The chassis construction, materials and camber balance impressed everyone, but the shaping of the tail section from mid-body back created a ski with a distinctively front-end bias since the tail was a bit narrow and not very shapely. Some testers got along with it, others did not. Tristan had not skied this pair, which were delivered as a prototype, so we understand there is some dialing-in to be done to get the final design "just right". The GC ski delivered a very tight and high-tension feel, being very responsive and providing detailed and sensitive feedback with powerful energy transmission underfoot due to its hardwood birch+maple core and maple sidewalls. High-frequency vibrations could have been damped a bit more, with a little buzzing underfoot on boilerplate surfaces, but the energetic acceleration and impressively quick response made up for the vibes transmitted to the boot soles. The GC East Coast Quiver Killer felt like a precision slicing instrument, prefering to be on-edge and cutting into surfaces rather than running flat...proving Tristan knows how Eastern lift-serviced skiers need a ski to cut across hard material more than surf three-dimensional snow. If you pressured the forebody of the ski into the turn, you could accurately target very small patches of snow surface with precise pressure and the ski would steadfastly track across it with no deviation or protest. This design is more akin to an all-mountain ski infused with a precision carving gene than a race-carver modified to work all over the mountain. Quickness edge-to-edge is impressive. Edge hold is excellent and accurate. Crud and storm conditions showed the early-rise tip was effective at getting the chassis to surf and float rather than plow through 3-dimensional snow as most sub-90mm waisted skis tend to do, but the relatively stiff flex meant it wanted to have the power maintained by the pilot to keep the ski flexed in a turn through crud. The narrow tail meant the rear of the ski would sink a bit, which many people like, but it also means completing the turn is the responsiblity of the skier, not the ski. This ski pulls the skier into the turn, but does not finish it for you....if that make sense. Overall, Tristan's ski is a high-performance, high-strung tool for athletic skiers with an accuracy fixation and technical emphasis in their technique. With a modification to the tail shaping, this one would be a crowd pleaser. Tristan makes a superbly built ski and he knows how to get performance out of his designs and materials, proving once again how really good skis can come from small, garage-brand builders. This ski shines on hardpack and boilerplate surfaces, despite its 87mm waist, with the only reservation being the tail shaping not holding and finishing the turn as the ski completes its arc. The narow tail can wash away if you lay into it at the end of a turn on hard surfaces, which is too bad because the forebody and midbody of the ski grips hard snow really, really well. Being a prototype shape, we understand the need to adjust the proportions to get it to work in a unified manner. High-frequency ibrations are sometimes transmitted to the pilot because of the maple sidewalls and birch-maple hardwood core, but it also means you get a really responsive and detailed feel underfoot...some people like it, others don't. Adding some VDS rubber content in strategic locations might make this behavior disappear. Edgehold is very precise and surgical. We found the crud and junk surfing ability of Tristan's ski was excellent for an Eastern design, although the narrow tail sunk a bit and prevented the "auto-finish" behavior some skis with wider and more rockered tails display in 3-D snow. The stiffness meant we could power through bad conditions without deflection, and as long as you keep the power "on" in the turn, you could crank through nearly anything. Stiff flex meant the ride was stout and required paying attention to your line and pressure levels, but it also delivered a very quick and agile change of direction once you altered your angle and applied pressure. Bump skiing with this pair was a bit harsh due to the stiff flex, but it also meant you could get excellent rebound energy if you had the athletic attack effort this ski likes. The narrow tail meant you could pivot through the bumps without tail hang-ups...which is nice. A high-performance club-racer sports car needing the rear end tracking and tire selection adjusted to perform optimally. Precision grip when rolled up and pressed into the surface with excellent tracking behavior and solidity. Rockered front-end feel with carving prowess midbody and tail. Ski the front or the mid-body-to-tail section for two kinds of handling. Feels like "high tension" underfoot with hardwood core and sidewalls. Strong, responsive feedback and feel underfoot..some might not like the immediate feeback underfoot, others will crave it. Lots of snap and zing when loaded and released...with a bit of buzz underfoot on hardest surfaces..hardwood sidewalls transmit feedback to the pilot. Crisp and lively feel. More directional than surfy with prominent camber. Some testers liked the graphics, others did not. Frontside ripping bias rather than jib-playful bias. Some testers did not like the tail shaping, saying the front end pulled the tail around like an afterthought and the tail washed-away on hard surfaces when pressured through a carved turn. Widen the flair of the tail in a way to generate a more hour-glass shaping from the midbody back to the rear of the ski to complement the arc started by the forebody through the midsection. Build a slightly softer version to reduce the level of pilot input required to get the ski to flex into its sweet spot. This is an example of how a small builder can create a really high-quality, high-performance custom ski with a personality and feel you cannot find off the shelf in any ski shop. Be wiling to work with Tristan to modify the shaping to match skis you have enjoyed in the past, and don't be afraid to go slightly softer with flex patterns when you have a hardwood sidwall design combined with a hardwood core.